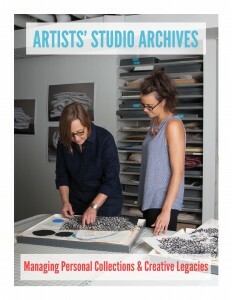 Artists’ Studio Archives: Managing Personal Collections & Creative Legacies is a guide for artists, their assistants, and others managing and preserving an artist’s studio archives. The guide is based on real-life scenarios and best practices in archiving and preservation and will aid artists in every career stage, from emerging artists to late-career artists, the yet-to-be-discovered and the well-established. Case studies and direct quotes from artists and their assistants, archivists, and researchers offer glimpses into managing and using artists’ archives. The exercises included in Artists’ Studio Archives help jump-start the documentation and archiving process through goal setting and establishing realistic timetables. The authors wish to thank the following organizations and institutions that provided funding for the research and publication of Artists’ Studio Archives and the resulting Archiving for Artists workshops: The Institute of Museum and Library Services (IMLS), The Joan Mitchell Foundation, The University of North Carolina at Chapel Hill, and the Art Libraries Society of North America (ARLIS/NA). Please consult our website (www.artiststudioarchives.org) for more information about this initiative and to access supporting resources. Thanks for sharing with colleagues and artist friends and family members! 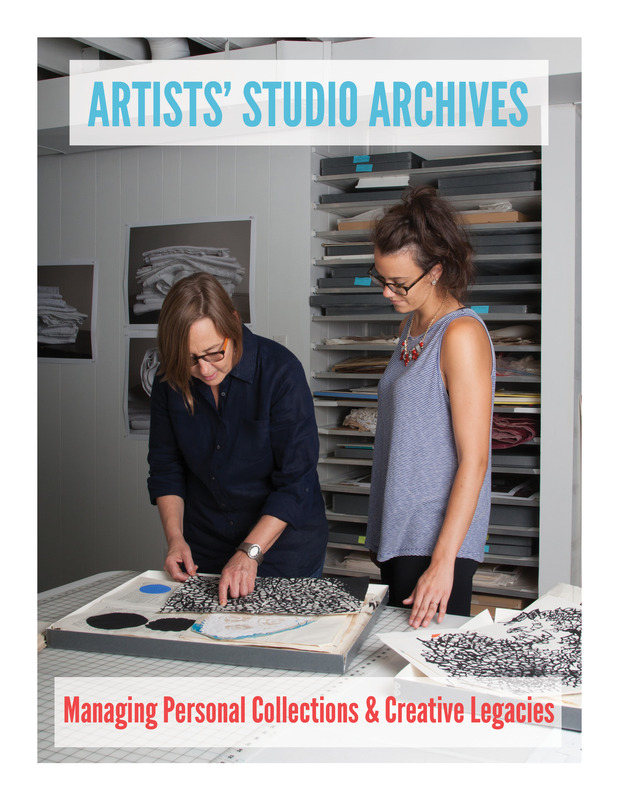 For questions about Artists’ Studio Archives: Managing Personal Collections & Creative Legacies, please contact Heather Gendron (heather.gendron@yale.edu). This entry was posted in Uncategorized by Jj Bauer. Bookmark the permalink.